Once again I am going to introduce you all with another cool website which will check whether the website you are browsing is safe or not. 1. Open your web browser , type URL : mywot.com . 2. Check for the term " Check the reputation of your favourite website " and enter your website name, we are checking www.mediafire.com . If all the Percentages are above than 80 then, You can trust those website else quit from those websites as soon as possible. 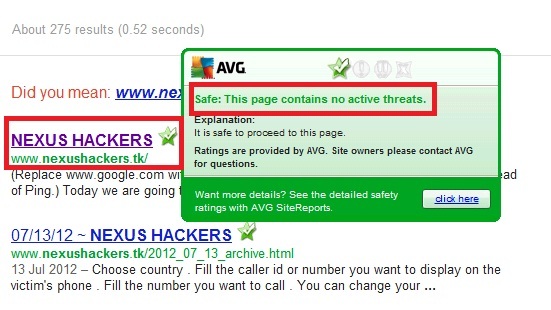 Some antivirus also does the same, Like AVG Internet Security. See the Picture below for details.